We know anecdotally that people struggle to find meeting rooms at peak office times even though they encounter many unused but booked rooms. According to a US based consultancy - CEB Global - an average employee spends over 27 hours per year looking for the right space to work in. CEB's calculations concluded that businesses on average lose productivity equivalent to $31 million a year due to wasted employee time. 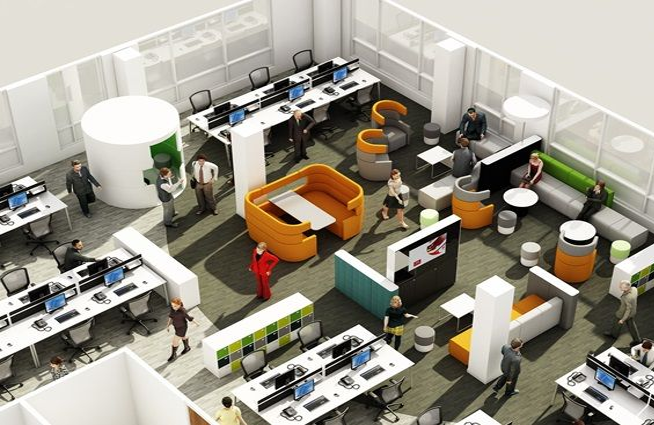 Freespace enables flexible use spaces to be used exactly as intended - flexibly. Using Freespace, work spaces can be used without the need to book them. Freespace actively monitors for end of use and releases the space to the next party. Our studies have indicated that doing so can increase utilisation of a space by around 30%! According to recent research by Advanced Workplace Associates, the cognitive fitness of an office user is influenced significantly by environmental factors. Top factors identified include background noise and temperature. Noise is seen as a significant additional load our brains have to combat while trying to concentrate. However, not all noise is counter productive. It is important to have an environment with the right noise profile to achieve the best outcome. Similarly high temperatures can have a detrimental effect on productivity and cold (below 12c) can marginally improve it. However, again temperature is a personal choice and users are best served when they have a choice to select the right environment. Freespace has inbuilt capability to measure Temperature, Humidity, Light and Noise levels across the floor space. The corporate property portfolio can amount to a significant cost to a business. Optimising space usage can contribute directly to savings to the bottom line. An estimate of these savings can be calculated based on prime real estate cost based on data from Cushman & Wakefield. In a mid sized office of 500 persons, reducing usage by 10% can deliver measurable savings to the bottom line. Saved space can be used to delay expansions, increase flexibility, change working practices or make strategic decisions. All of these can make the organisation more agile and competitive. Freespace enables organisations to take control of their work spaces by helping them to visualise opportunities and take decisive actions.